50 AMP cord featuring the patented Power Grip handles for ease of use. The 50-amp cord includes a convenient carrying strap. No more struggling to pull out a clunky plug! 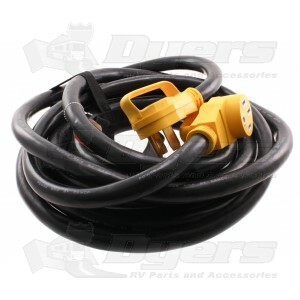 Camco extension cords feature a power grip handles for easy use and a firm hold. Includes an adjustable nylon carrying strap.